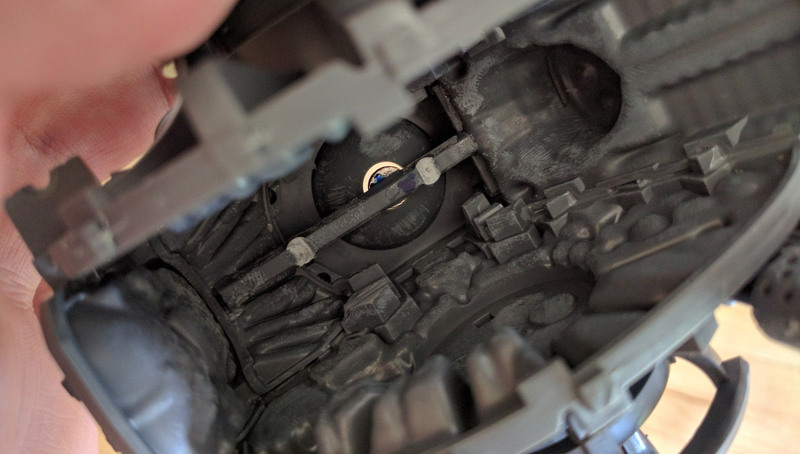 On the inside of the upper torso, I took a piece of sprue and cut it to fit within the bottom of the Knight (about 1 ¾ long piece). Glued it in with some plastic glue and then after that dried, added some super glue for more support. 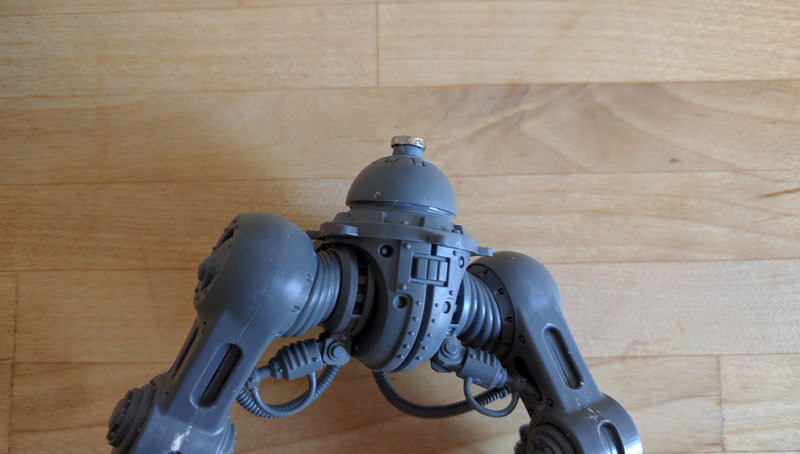 I then attached the magnet to the bottom torso with some glue added. 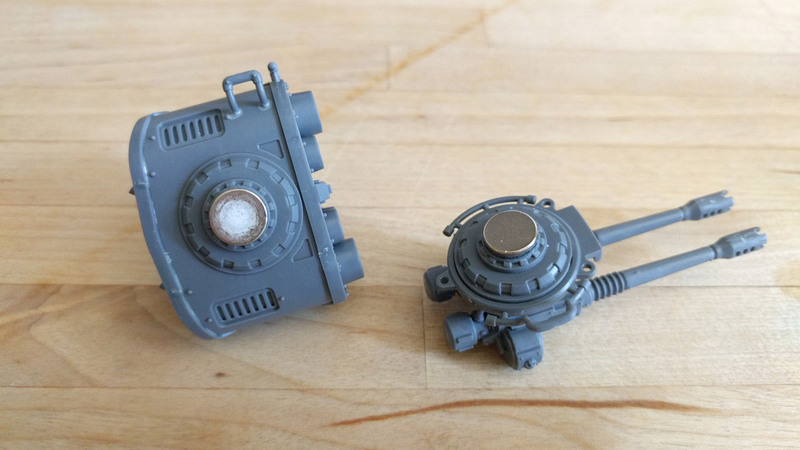 Put the top piece on the bottom piece so I could have the magnet touch the sprue bit. Before glueing together the top parts (pieces #20 and #21), you can fit a magnet in the top. 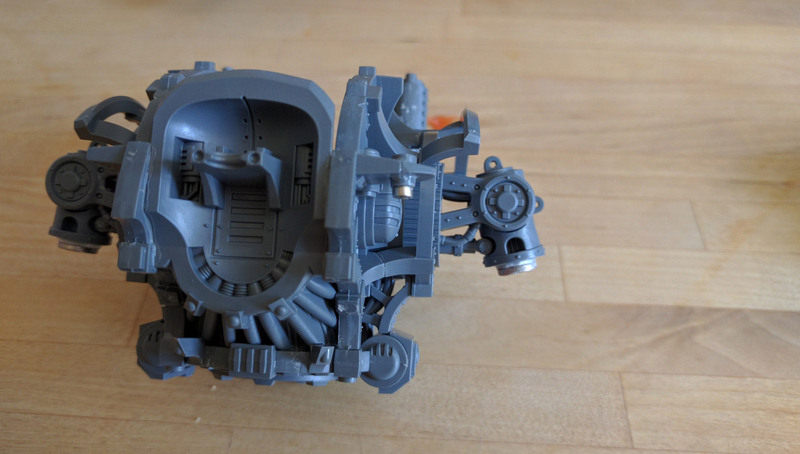 No need to use a sprue or anything else to hold a magnet. Now this is a TIGHT fit, so using a hobby knife and file to smooth out the insides will help a lot for a tighter fit. But it will work! 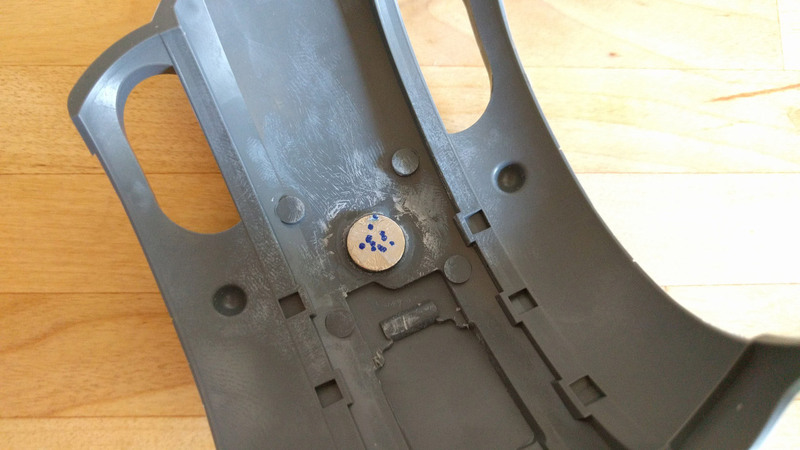 Smooth out the bit of plastic on the underside of the carapace and attach a larger magnet here. 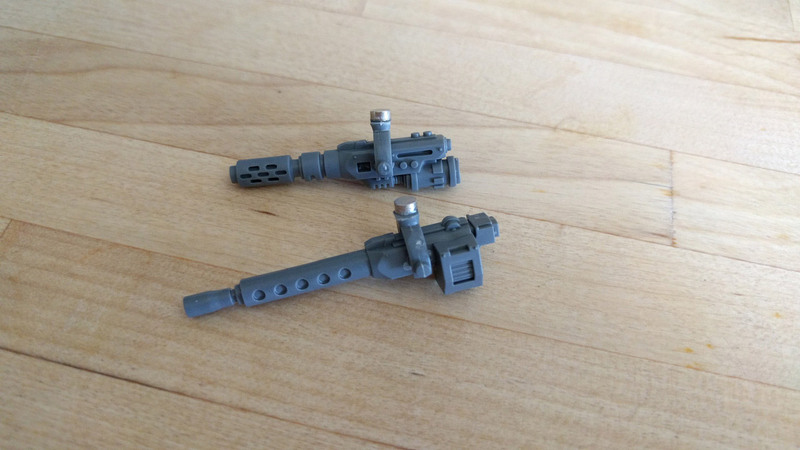 Since I was using the 3/8 size on the guns, they worked here as well. 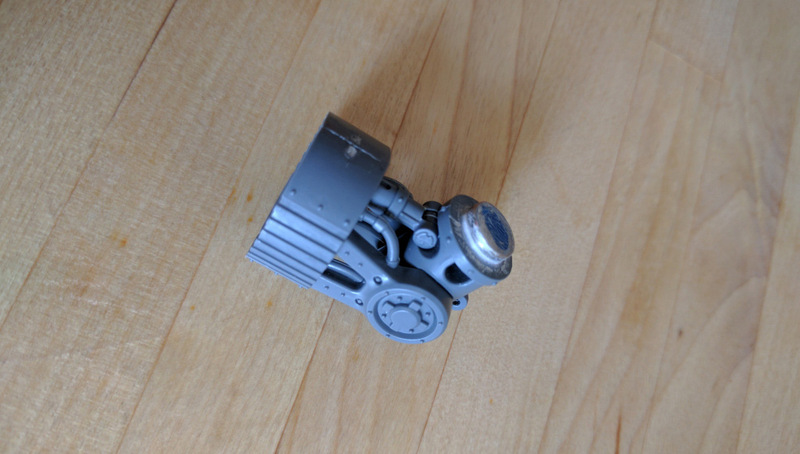 I smoothed out the bottom of the connecting pieces and glued on a 5/16th size magnet for both the missile launcher and autocannon Perfect fit and sits nicely on the top of the knight. 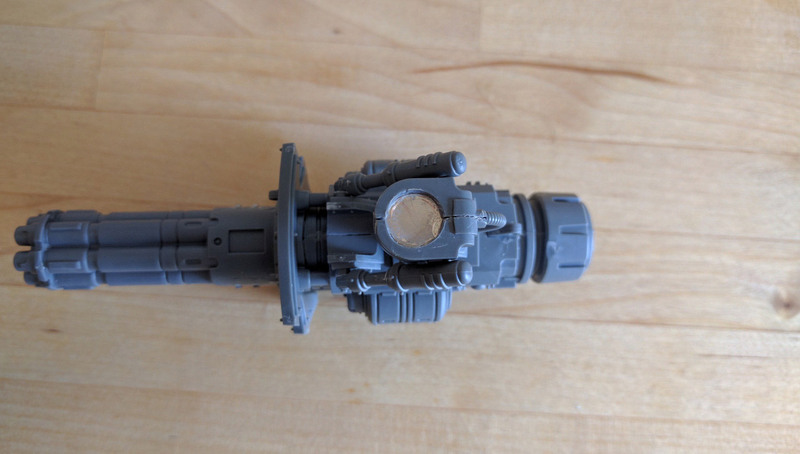 I glued on the U shape portion of part 99 to the guns and then put another 1/8 size magnet on top. 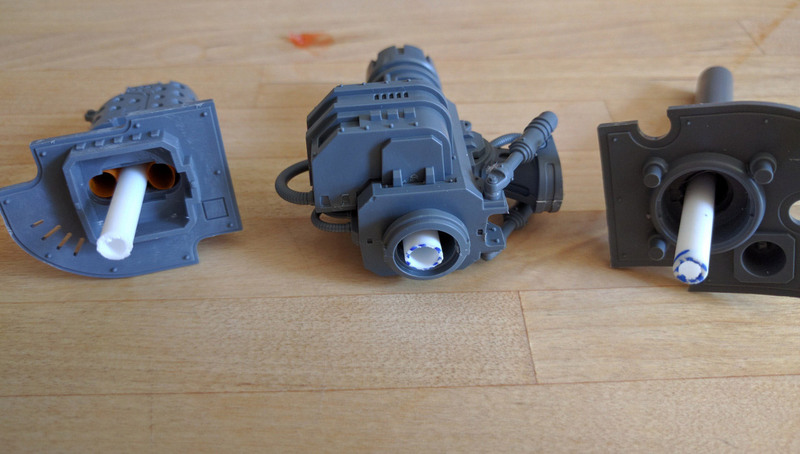 I’ve seen quite a few tutorials working with magnets on the Battle / Thermal cannons. But instead, I came across this trick using telescoping plasticard tubing instead. So much less headache and works great!